Mercedes-Benz of Athens is your manufacturer approved dealership. We ensure the highest quality and attention for your vehicle, and we want to make sure you get the best deal for your money. We have a great selection of car tires in Athens, and our staff is ready to help you find exactly what you need. It is important to keep the tires on your car maintained. You can do this by having them rotated and balanced. It is also important to check to check the amount of “wear” on the car tires, and our staff here in Athens can do just that. On top of that, we are offering coupons for our customers right on our site. 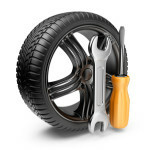 If you need car tires in Athens, GA, we invite you to make the drive from Athens. We are dedicated to bringing our customers the best in customer service and reliability. When we service your car, you can rest assured it will be done right the first time. We also specialize in routine maintenance, batteries, and brakes – and our staff will gladly look over your car to make sure it is in top condition. Don’t wait – print off your tire coupon and come visit us in Athens today!